Trump’s continuously changing plans are not preventing his adversary the Iranian General Qassem Soleimani — the head of the Iranian Revolutionary Guard Corps in the al Quds Brigade which perceives itself responsible for supporting all movements of the oppressed peoples in the world, mainly the Lebanese Hezbollah, Iraqi, Palestinian and Afghan groups, but others as well — from making plans to counter Trump in Syria and Iraq. Soleimani is planning to move more aggressively with his allies once the last ISIS stronghold east of the Euphrates is reconquered. 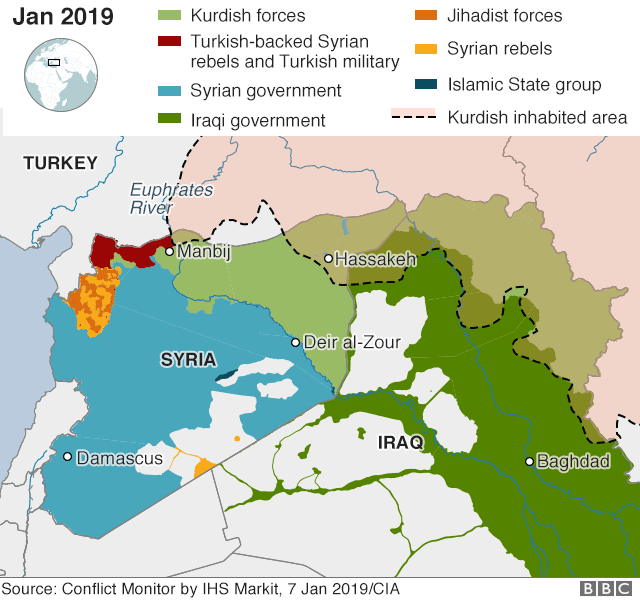 ISIS maintains an area of around 15 sq km with several villages on the Euphrates and is currently under attack by Kurdish forces supported by the coalition. The US establishment has asked the Iranians to mediate with the Taliban to spare US forces from lethal attacks. The US establishment also asked Iran to refrain from attacking its troops in Iraq. Assent to these requests will be forthcoming if the US responds to one important request from Iran: total withdrawal from Syria. If Trump cannot do it, the US president may be sweating through a hot summer this year.